The newest and most advanced lighted wheels. These weigh the same as standard non-lighted wheels and come with super bright tri-color (red, blue, yellow, green) lights. Hard nylon hub with Adva Klear* clear Polyurethane tire ensures smooth performance. Durometer (hardness) is 82A making them suitable for indoor or oudoor use. 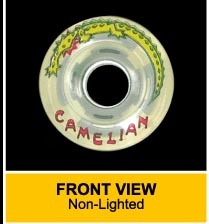 62mm wheel comes with ABEC-5 bearings installed. $10.00 each. 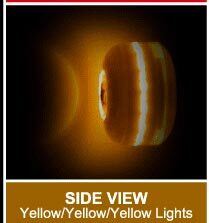 The newest and most advanced lighted wheels. 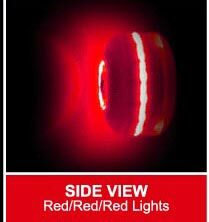 These weigh the same as standard non-lighted wheels and come with super bright tri-color (red, blue, yellow, green) lights. Hard nylon hub with Adva Klear* clear Polyurethane tire ensures smooth performance. Durometer (hardness) is 82A making them suitable for indoor or oudoor use. 54mm wheel comes with ABEC-5 bearings installed. $10.00 each. Mix & match these with the lighted wheels. Hard nylon hub with Adva Klear* clear Polyurethane tire ensures smooth performance. Durometer (hardness) is 82A making them suitable for indoor or oudoor use. No bearings are included. $3.00 each. Please come back and see us again. We are expanding.